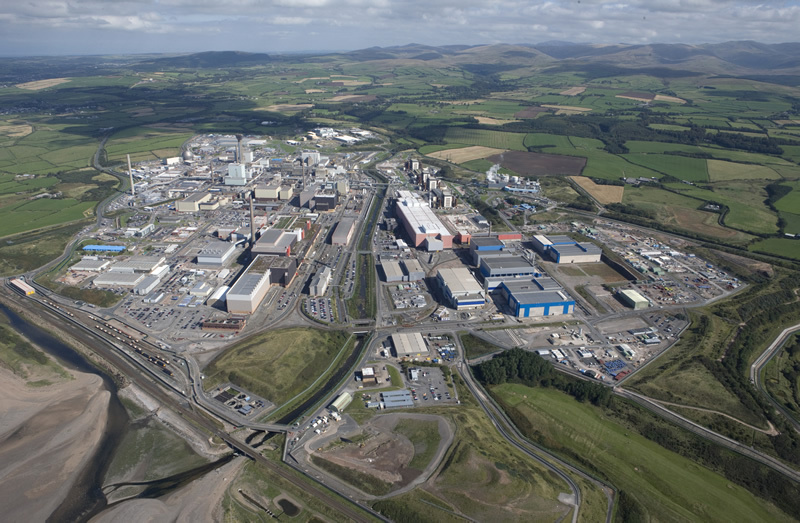 The Sellafield nuclear licensed site is owned by the Nuclear Decommissioning Authority (NDA), and is operated by the site-licensed company Sellafield Ltd. Sellafield is a complex and diverse site which includes decommissioning the UK's nuclear legacy, spent fuel storage ponds, reprocessing, waste treatment and waste storage plants. The site, which currently employs approximately 10,000 full time equivalent staff, is located on the West Cumbrian coast adjacent to the Irish Sea on the western outskirts of the Lake District National Park and within the catchments of the Rivers Calder and Ehen. Calder Hall, located on the site, was the world's first commercial nuclear power station. Electricity generation started in 1956 and ceased in 2003. Windscale was historically a separate licensed site located on the Sellafield site. In 2008, the site licence for Windscale was transferred to Sellafield Ltd, integrating the Windscale and Sellafield sites. The site comprises of three reactors, two of which were shut down in 1957 and the third in 1981. Decommissioning activities began in the mid-1980s.